You'll always pay the BEST price available! We'll match competitor rates at lower prices to ensure you score the best deals ever! Good ideas start with great coffee! 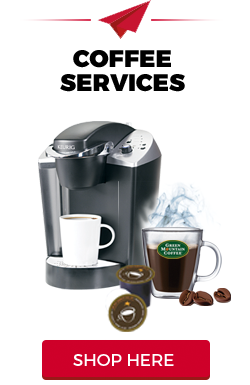 We offer all the key leading brands of commercial coffee systems, from Starbucks, Keurig Green Mountain, Flavia, Tassimo, Lavazza, and many more. 'Coz we know that good coffee is the best co-worker! Are your co-workers drinking their 8 glasses of water a day? Well, say hello to H20 with our wide variety of different water filtration systems and bottled water service, we personalize your water program based on your company needs. A happy space makes for happier employees! We assist in designing and building well thought out workplaces because a comfortable, positive environment can directly contribute to productivity. Our space planning and furniture specialist offer dedicated services and offer design options to best suit your needs. Can I have your number? You'll be glad you printed those business cards. Our custom printing services will help to ensure your brand identity stands out and speaks volumes about your business. Custom stationery, business cards, folders, flyers, you name it, we can print it. 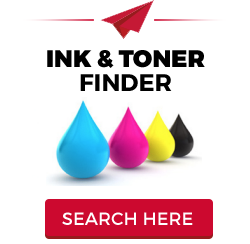 Promotional items help to increase brand awareness and with our large selection of products, we can assure you quality printing. Are you ready to make that statement and be remembered?